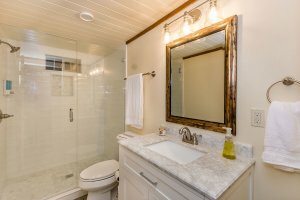 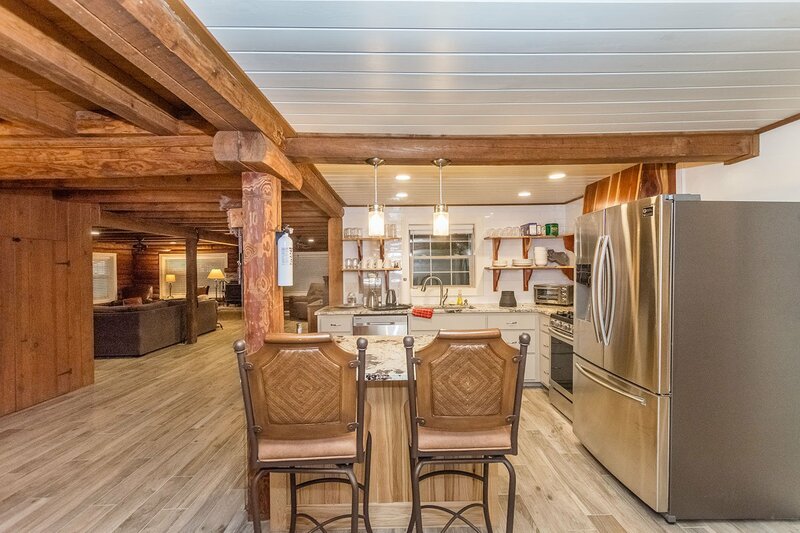 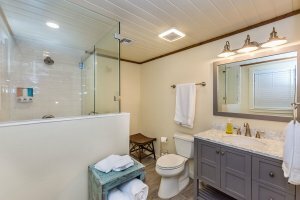 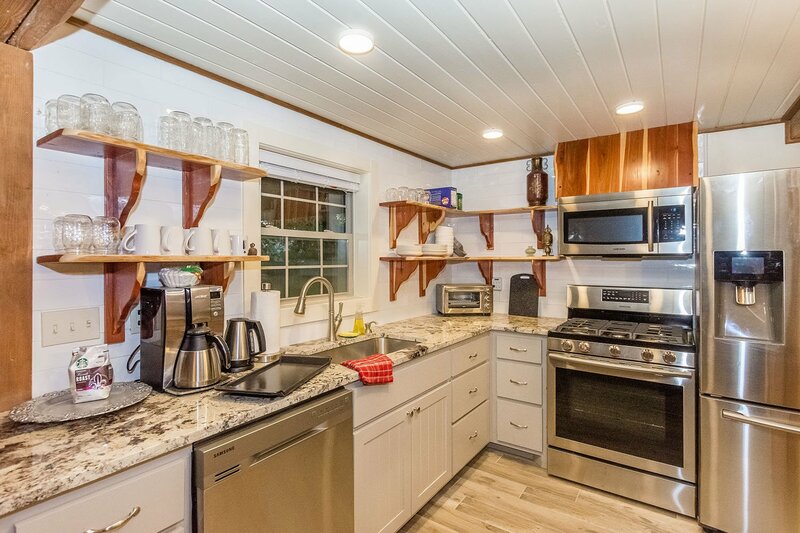 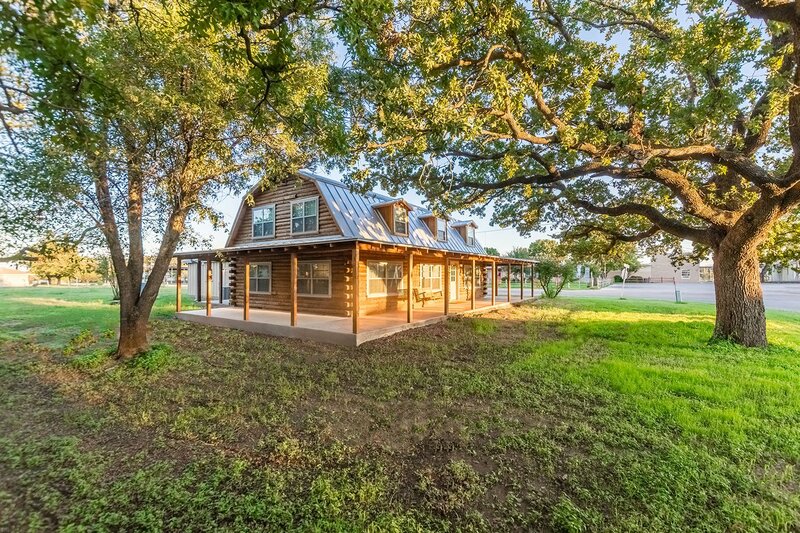 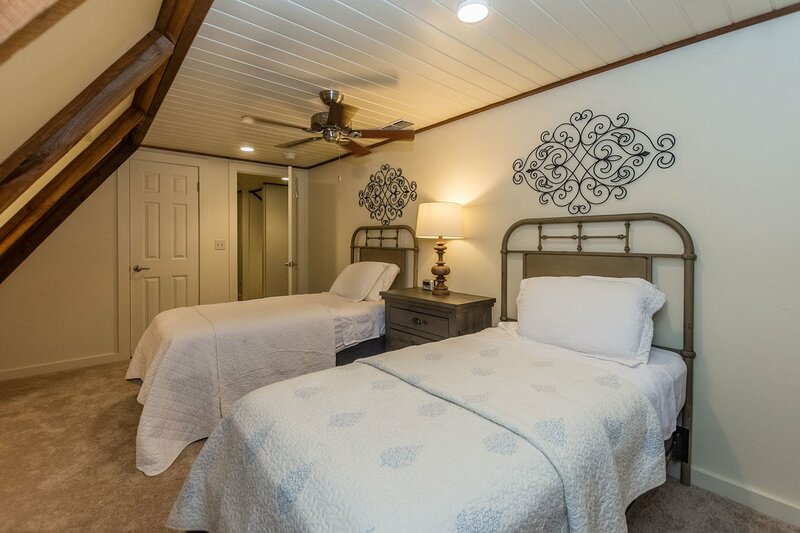 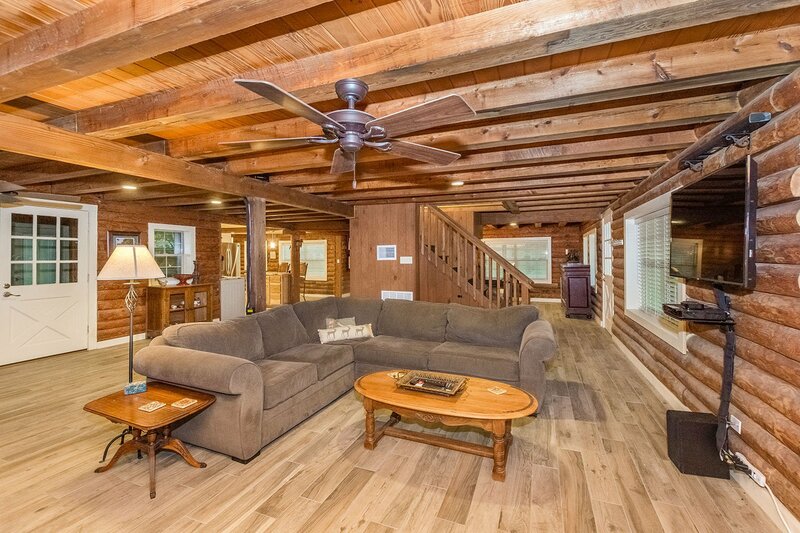 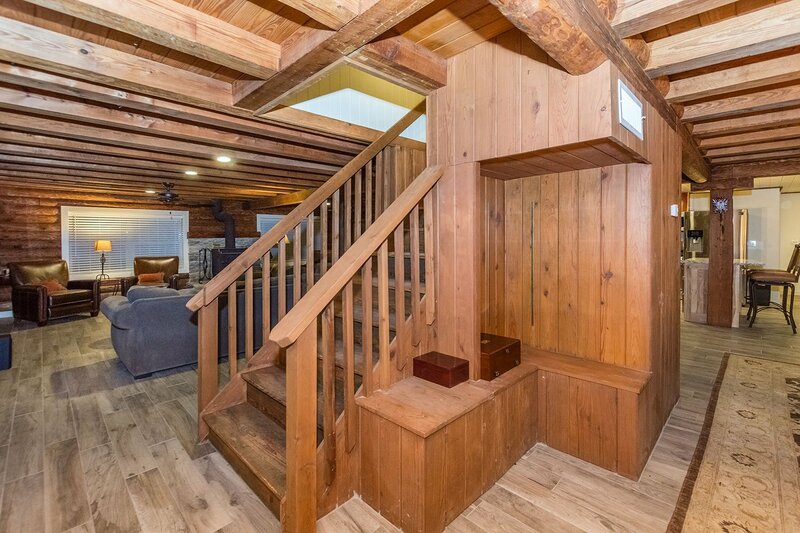 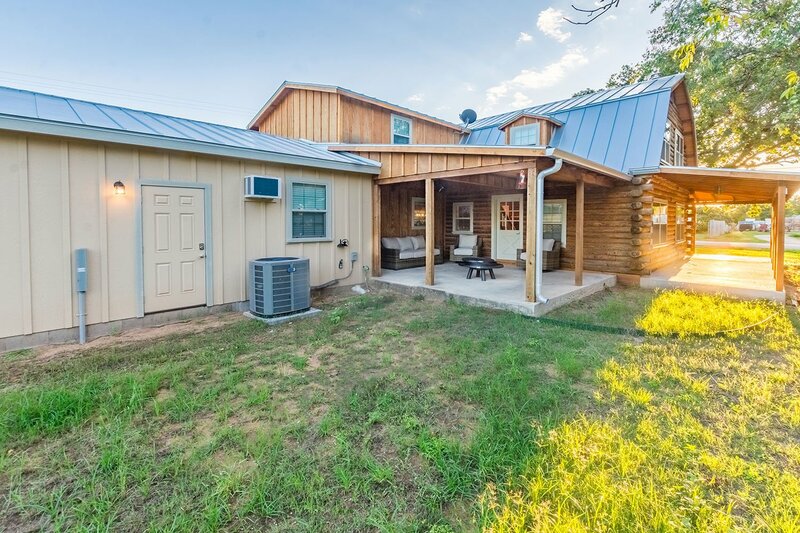 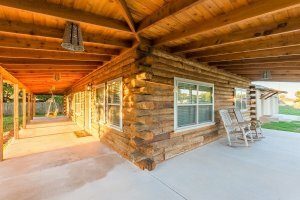 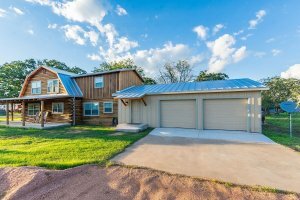 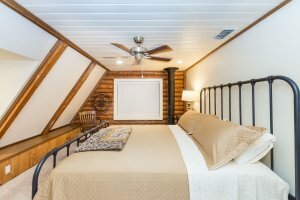 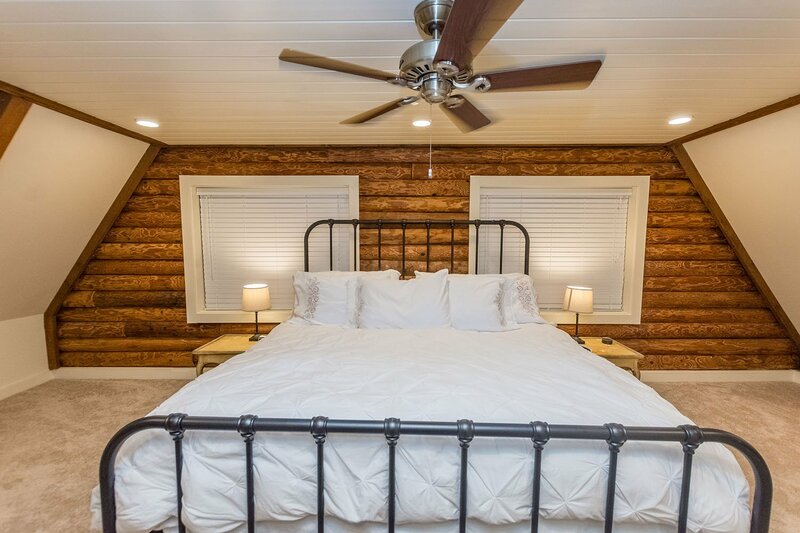 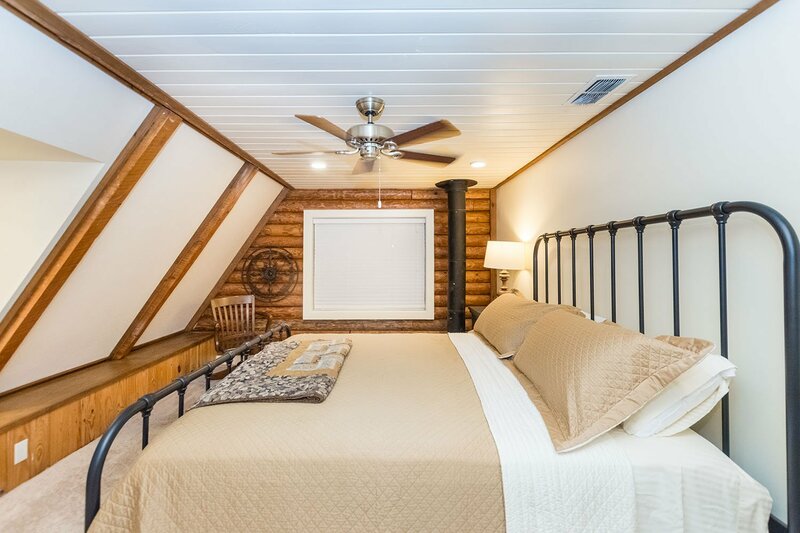 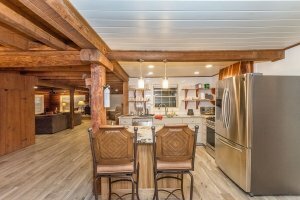 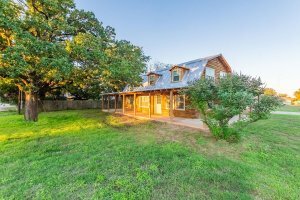 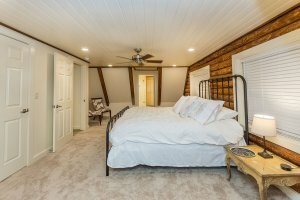 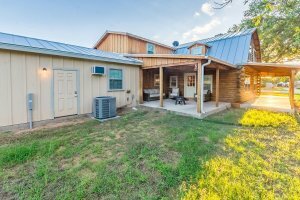 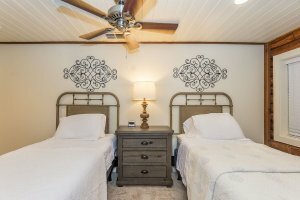 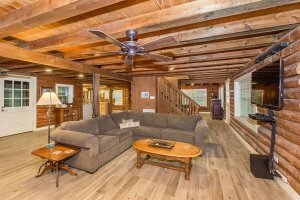 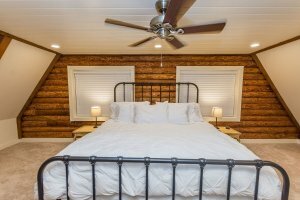 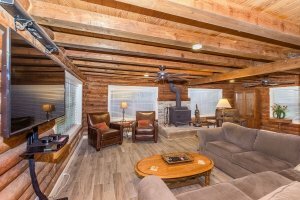 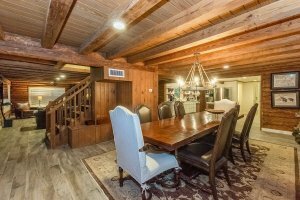 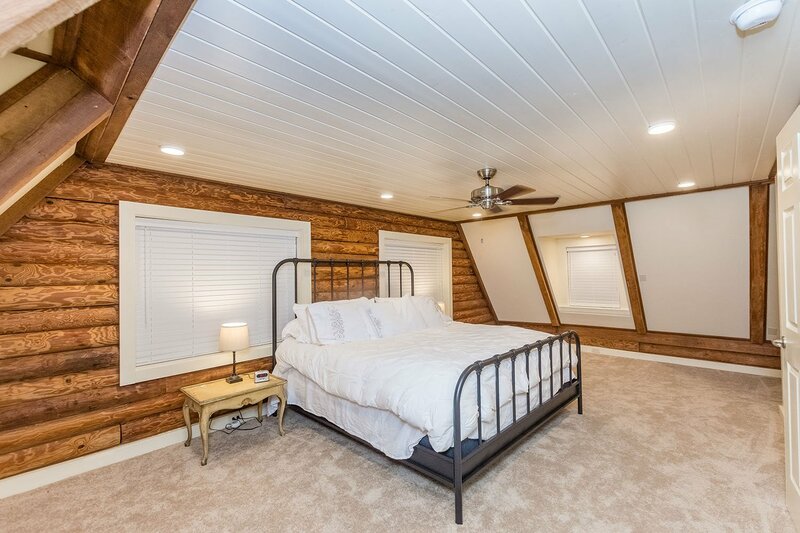 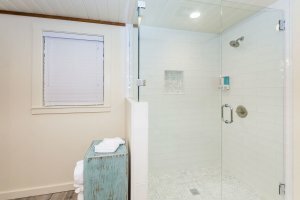 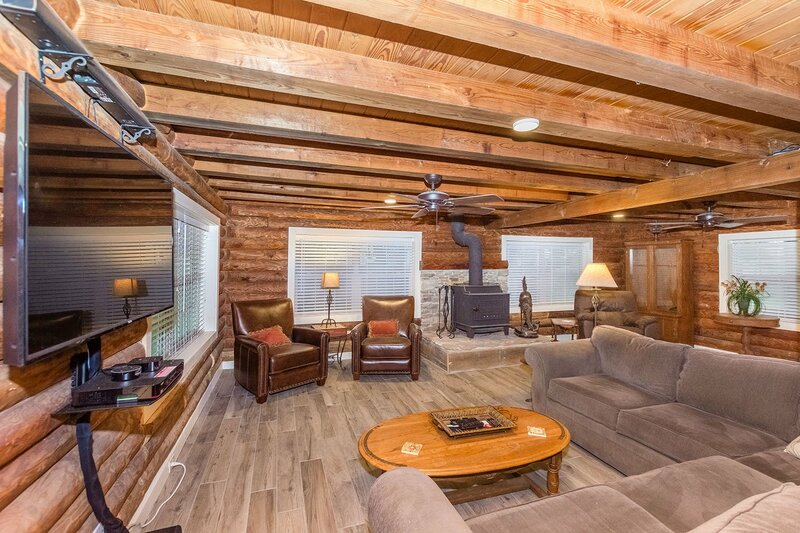 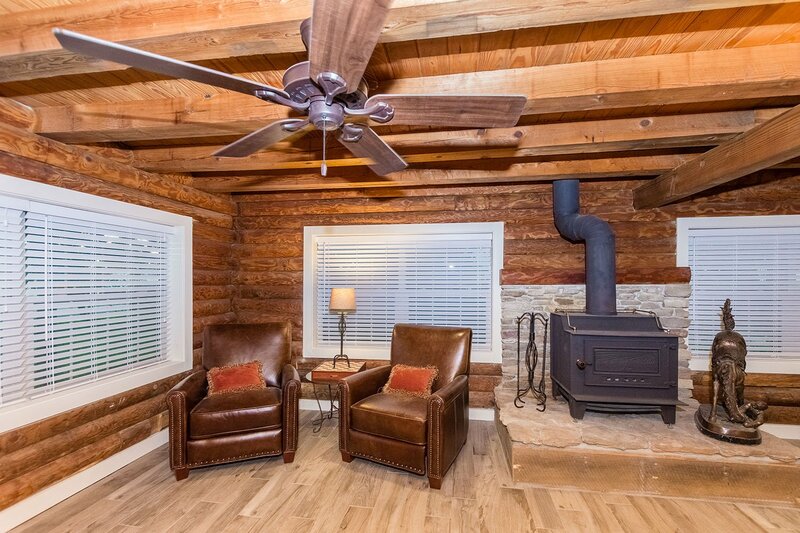 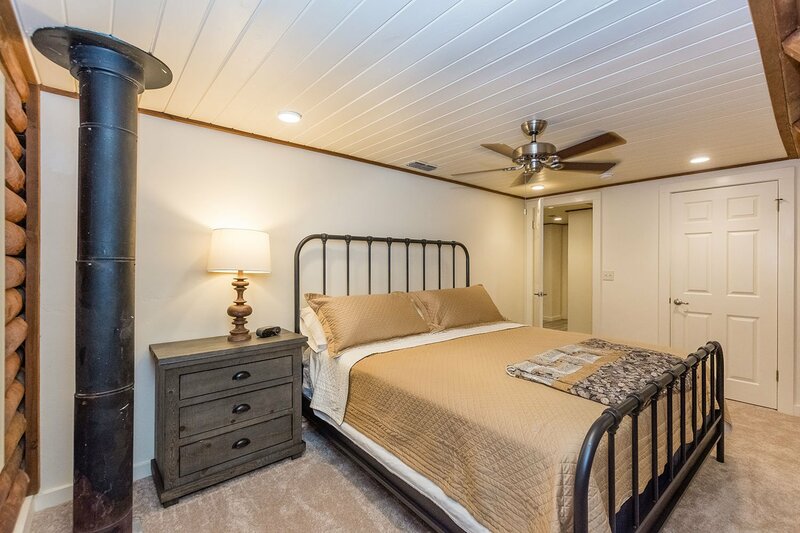 This restored log cabin home located in Stonewall, Texas and is the perfect place for a couple’s getaway, girl’s weekend, or a family retreat. 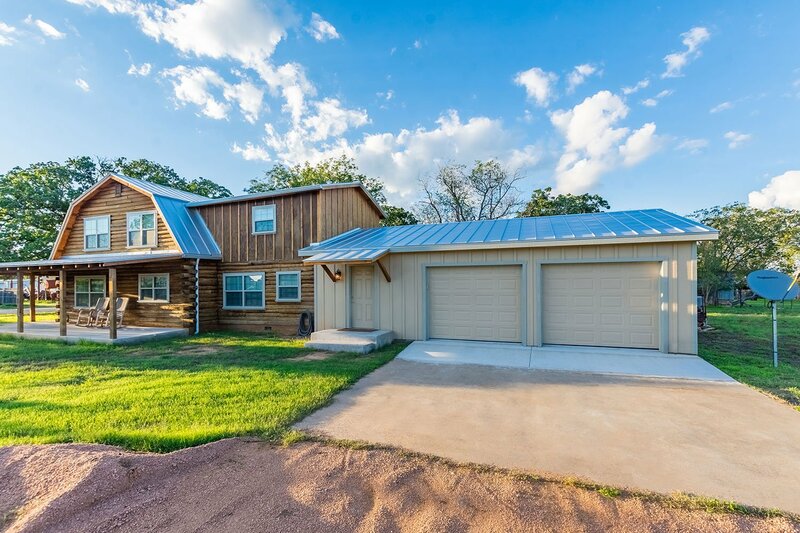 Nestled in the heart of wine country, this fabulous 2-story house features 4 bedrooms, 3 bathrooms that will sleep up to 8 guests. 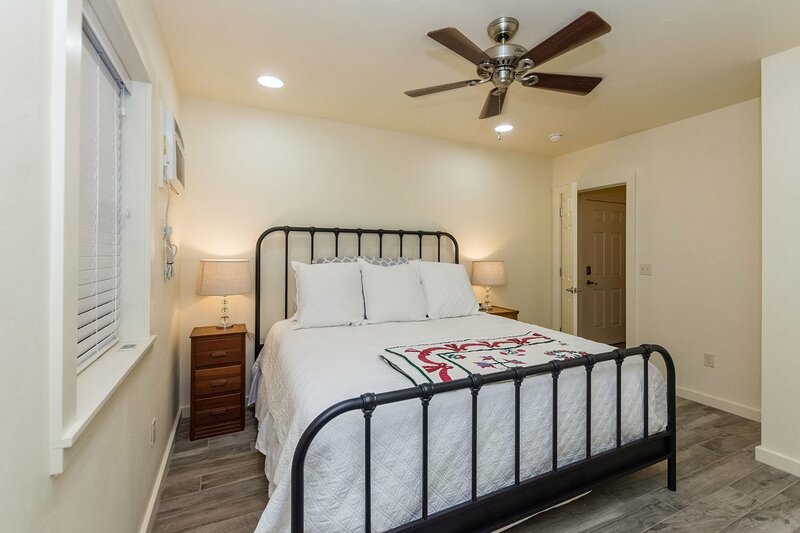 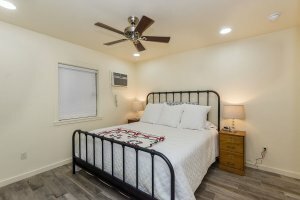 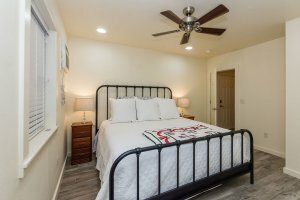 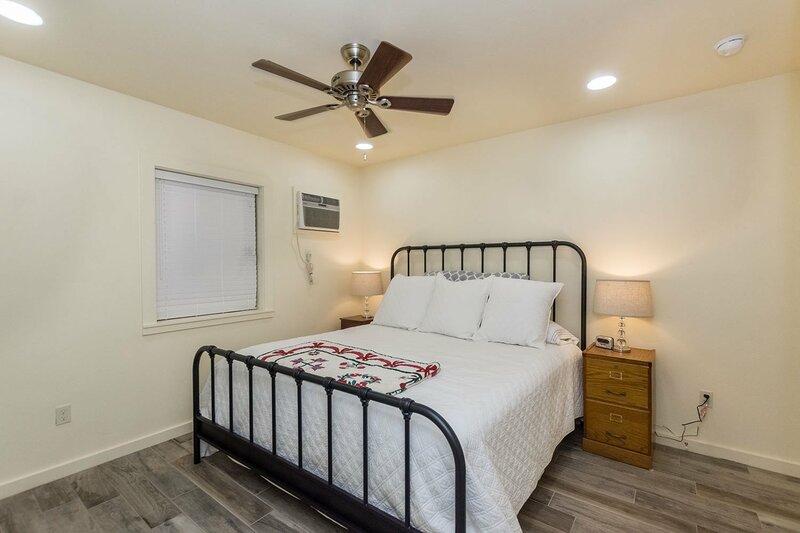 The open floor plan downstairs with its modern kitchen, large dining table and the beautiful tile flooring throughout the home allows you to enjoy fully enjoy the home. 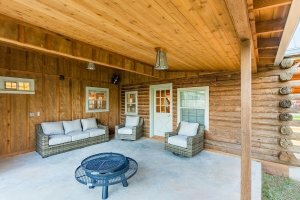 Covered wrap around porch with a swinging bench is a plus to enjoy your coffee or a glass of wine.